You won’t know where the blade ends and your hand begins. This folding urban tactical knife proves that form follows function with swept finger grooves, a formidable AUS 8 blade, and the smooth and fast IKBS™ opening system. Whatever the need, you’re good to go through anything with this bad boy of a blade. 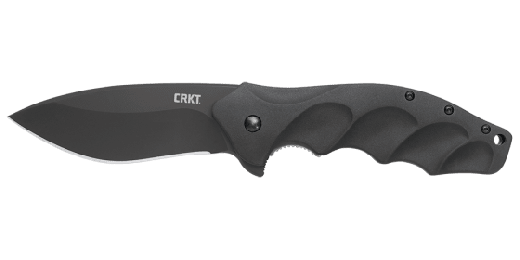 Ken Onion of Kaneohe, HI designed the CRKT® Foresight™. As a veteran, an experienced custom knifemaker, and the youngest member to ever be inducted into the Blade Magazine Hall of Fame in 2008; he’s the real deal when it comes to knives. This one is just another example of Ken’s tight mechanics and comfortable form in a blade that’s ready for your urban law enforcement and professional tactical needs. The 3.5-inch modified drop-point blade has a generous belly and re-curve cutting edge. Precision ground AUS 8 stainless steel and coated with a Black Titanium Nitride finish, it absolutely rips through anything that comes its way. Yet it opens like a well-oiled cutting machine. The IKBS™ ball bearing pivot system coupled with an InterFrame build style provides fast opening action for the blade with great rigidity. Just push down on the opening flipper with your finger and the blade is called to attention. Then a locking liner engages the blade tang for a solid lock-up. You’ll be safe. If only the same could be said for anything standing in this high-quality folding knife’s way. What truly sets this blade apart though is how it feels when you hold it. The cold-forged aluminum handle of the Foresight™ is purposefully styled and shaped with swept finger grooves and proper palm swell to provide a confident, comfortable grip no matter what the use. You’d swear the designer made a mold out of your own bare hand. Even the way the knife gets transported was well thought out. A blackened, stainless steel carry-clip is designed and mounted to provide a “low-profile” carry that is deeper in the pocket. Hindsight may be 20/20, but with the Foresight™ you’ll show you can plan ahead when it comes to the right tools. Ken is the real deal. 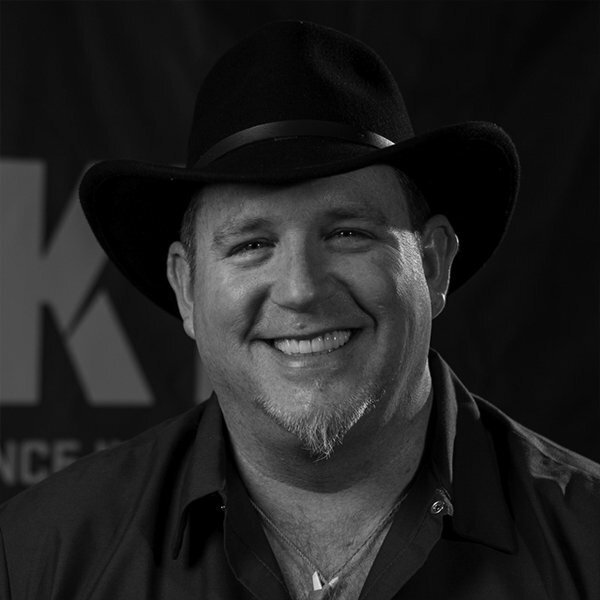 The youngest ever inductee into the Blade Magazine Hall of Fame in 2008, he is recognized as one of the most innovative and successful knife designers of all time. In 1996 he created the first commercially successful assisted opening mechanism, and 20 years later unveiled his award-winning Field Strip Technology. As the designer of the successful Eros™ folder series, as well as the award-winning Hi Jinx™, Ken never seems to be at a loss for ideas.